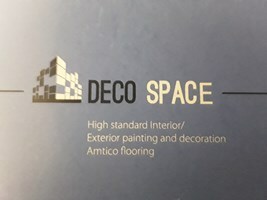 Deco Space - Painter/Decorator based in Orpington, Kent. BROMLEY COUNCIL TRADING STANDARDS APPROVED DECORATOR AND DULUX ACCREDITED . We are a family run Painting & Decorating business offering domestic and commercial painting services for over 15 years. As a business we are committed to always deliver a high spec finish for each and every one of our customers in a clean and professional manner. Please give me a call to discuss your individual requirements.